Want to see a New York Yankees Game? The New York Yankees are an American professional baseball team based in the New York City borough of the Bronx. The Yankees compete in Major League Baseball (MLB) as a member club of the American League (AL) East division. They are one of two major league clubs based in New York City, the other being the New York Mets of the National League. In the 1901 season, the club began play in the AL as the Baltimore Orioles (no relation to the modern Baltimore Orioles). Frank Farrell and Bill Devery purchased the franchise (which had ceased operations) and moved it to New York City, renaming the club the New York Highlanders. The Highlanders were officially renamed the Yankees in 1913. One of the most successful sports clubs in the world, the Yankees have won 18 division titles, 40 AL pennants, and 27 World Series championships, all of which are MLB records. The Yankees have won more titles than any other franchise in the four major North American sports leagues. Forty-four Yankees players and eleven Yankees managers have been inducted into the National Baseball Hall of Fame, including Babe Ruth, Lou Gehrig, Joe DiMaggio, Mickey Mantle, Yogi Berra, and Whitey Ford. In pursuit of winning championships, the franchise has used a large payroll to attract talent, particularly during the Steinbrenner era. According to Forbes, the Yankees are the second highest valued sports franchise in the United States and the second in the world, with an estimated value of approximately $3.7 billion. The Yankees have garnered enormous popularity and a dedicated fanbase, as well as widespread enmity from fans of other MLB teams. The team’s rivalry with the Boston Red Sox is one of the most well-known rivalries in U.S. sports. Want VIP Access to a New York Yankees Game? Even if you have seen a New York Yankees Game in the past, you have never experienced them like you will with our Millionaire’s Concierge VIP Experience. With the best seats available for any New York Yankees Game, you will experience it the way they were meant to be seen – up close and personal! Hang out in exclusive VIP lounges and sip champagne and cocktails? Receive exclusive gifts and merchandise? What are you waiting for? 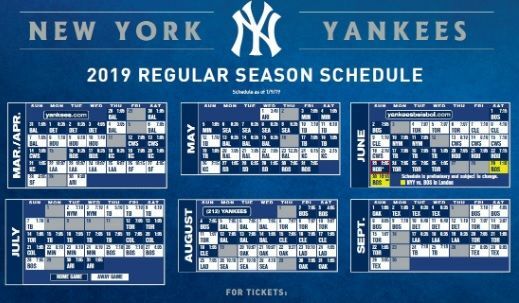 Call us today to learn more about the New York Yankees Games.